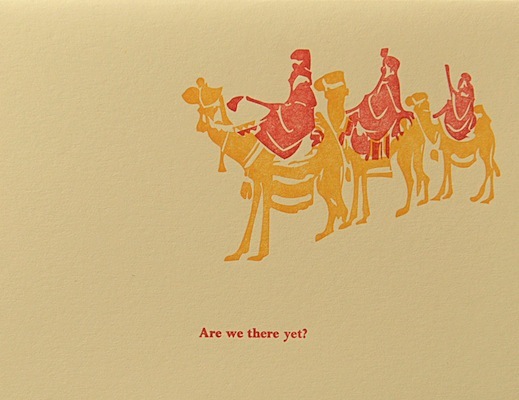 Letterpress art print © and courtesy of Zeichen Press. The Gospel narrative doesn’t say that the number of wise men (or astrologers) from the East was three; that’s just an inference based upon the report that the Magis (however many of them there were) brought three gifts of gold, Frankincense, and myrrh. Be that as it may, what has come down is a piously embellished story of three wise men, complete with names and capsule biographies. So, to start my suggestions for Christmas (or other seasonal) gift-giving, here are three gifts: two boxed sets and one single recording, all of especial musical and sonic merit. Details and sound samples after the jump! 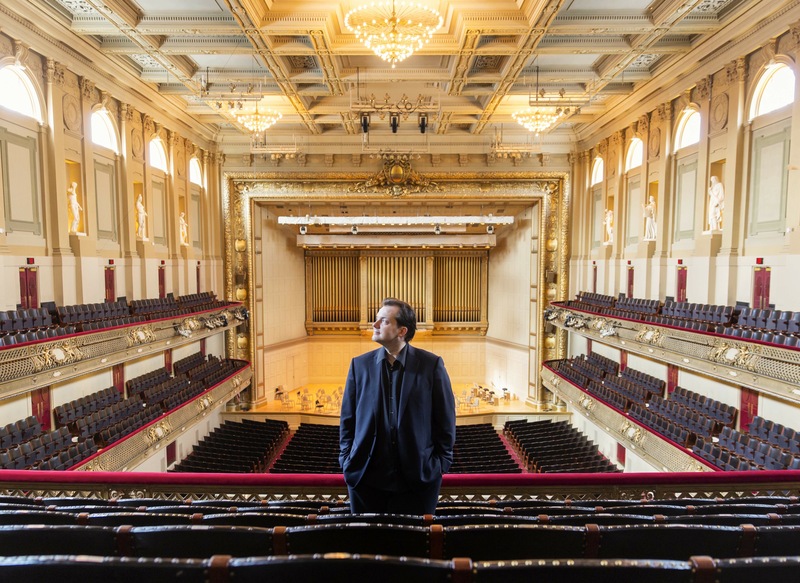 Charles Dutoit (b. 1936, Lausanne, Switzerland) found himself in the right place at the right time. 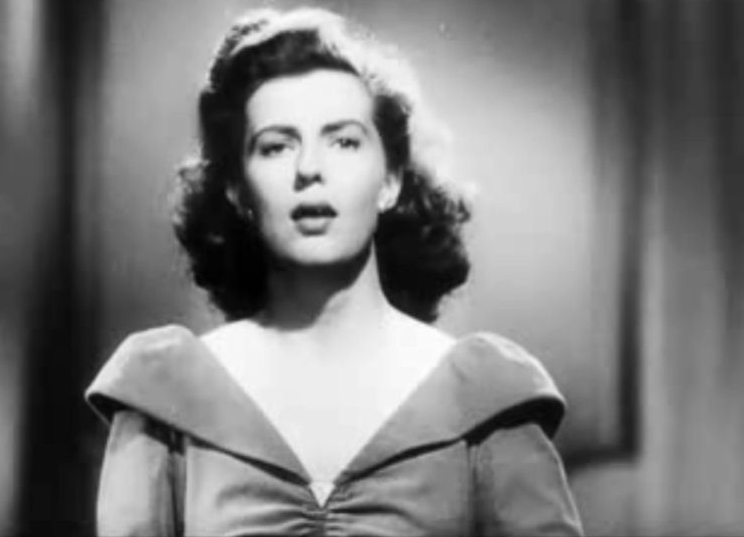 Decca, the UK recordings powerhouse, had been searching for a replacement for conductor Ernest Ansermet, who had died in 1969. 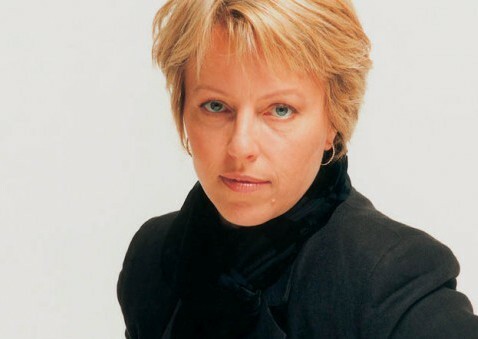 Decca wanted a specialist in French music (but who could also handle the French end of the Russian repertory–I refer primarily to Tchaikovsky); and also one who was willing to sign an exclusive contract. 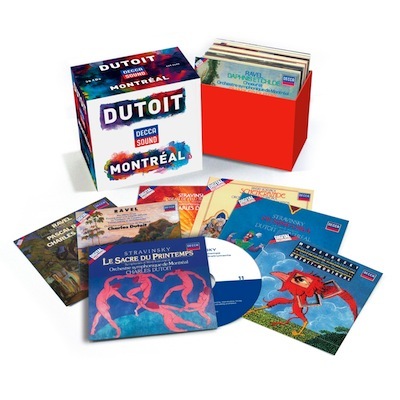 A chance hearing of Montréal’s symphony orchestra under Dutoit’s direction, occasioned by the fact that one of Decca’s pianists was playing with that orchestra, allowed producer Ray Minshull to begin putting all the pieces together. The other puzzle pieces being (apart from the excellent but under-appreciated orchestra and conductor) an old church not more than 30 miles away with enviable acoustics for recording, and Decca’s commitment to bring its legendary recorded sound into the digital age. This boxed set collects a representative sample that is as interesting for its omissions as for its inclusions. There is nothing by Shostakovich or Mahler, or Brahms or Beethoven, or Bach. But there is some Bartók (including a wonderful Concerto for Orchestra), Franck’s lone symphony, Respighi’s Roman Trilogy, and even some orchestrated Piazzolla. There is a strong representation from the usual-suspect French composers, as well as Tchaikovsky and Stravinsky. Back in the day, upon its release, Dutoit’s OSM Rimsky-Korsakov Scheherazade became my go-to interpretation; I don’t think I have heard a better one yet. Among the crowd-pleasing warhorses are The Planets, and Carmina Burana. I think this set makes sense for someone just starting out in classical music (perhaps as a gift for a young person), or, for someone whose musical tastes usually run to multiple interpretations of heavier works by the composers enumerated above as being unrepresented in this set. At just about two dollars per CD (a screaming bargain), it would be very hard to go wrong with this engaging and colorful collection. If you love Charles Munch’s Boston Symphony recordings, you must buy this set. If you want a huge infusion of beautiful orchestral tone color into your collection, you must buy this set. Any questions? If so, please leave a comment. I do so regret the demise of Steinway & Sons’ classical music on-demand streaming service. What Steinway Streaming had over all its competitors was its user interface, and its user-friendly discographic depth. Not to prolong an Irish Wake; but, on Steinway Streaming, one could click on the pull-down menu for Composers, and select Beethoven. The target page that came up had a biography and list of favorite works, each with a chosen interpretation. But if you clicked on the work in question (rather than on the prime recording of it), a new page came up with all the available interpretations. For Beethoven’s Violin Concerto, there were about 80 choices. Discard the multiple packagings, you still had more than 40 soloists, some with multiple performances. The earliest version of all was a transfer from acoustically-cut 78 rpms by Fritz Kreisler. NB, Steinway’s streaming service limited its selections to in-print releases; it was not a reference library. Most of those versions and editions might have been available, had one searched for them on Tidal. But, Tidal would be (it seems to me) incapable of letting you know about a classical recording you did not already know about. Let alone manage the “if you like that, you will also like this” function. The point of all that? I never otherwise would have found myself listening to a recording of Pierre Boulez conducting almost anything. But, seeing as I was a Beta tester, I called up Pierre Boulez’ Mahler symphony 5. Ya know what? It’s totally fabulous; and I think I have figured out why. Cold-fish cerebral Boulez, I think, is like Igor Stravinsky in one important regard: As a composer, Boulez appears not to want “interpreters;” he wants “executants.” Just like Stravinsky. So, in conducting Mahler, Boulez applied the Golden Rule. He treated Mahler’s detailed scores the way he wanted his own detailed scores treated: as in, followed meticulously. Boulez does not need to emote from the podium, because Mahler has already done the emoting for us. So, in that respect, Boulez is, I think, in Mahler, the anti-Bernstein. Bernstein (or his handlers or promoters) went around giving people the idea that Mahler’s music was a Gnostic mystery closed to the uninitiated; and further, that there was only one Enlightened One per century. Which of course is nonsense. Boulez’ remarkable bargain of a boxed set proves that all you have to do is to be humble and read the scores (and also have remarkable technical facility in guiding a world-class orchestra). Game set and match to Boulez, IMHO. His Adagio from the fifth symphony is what intrigued me; the slow movement of his sixth symphony sealed the case. 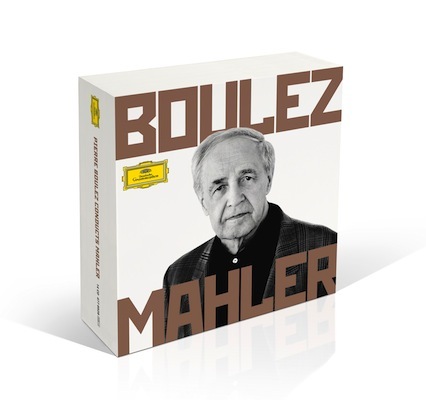 Boulez’ Mahler 5 slow movement is sweet, songful, and sad; but it is also crystal clear. In the spirit of Fair Use, I will use up all the Fair Use for this boxed set with samples of the beginning and end of the slow movement from symphony 5. This set is another screaming bargain; just buy it up before it runs out. 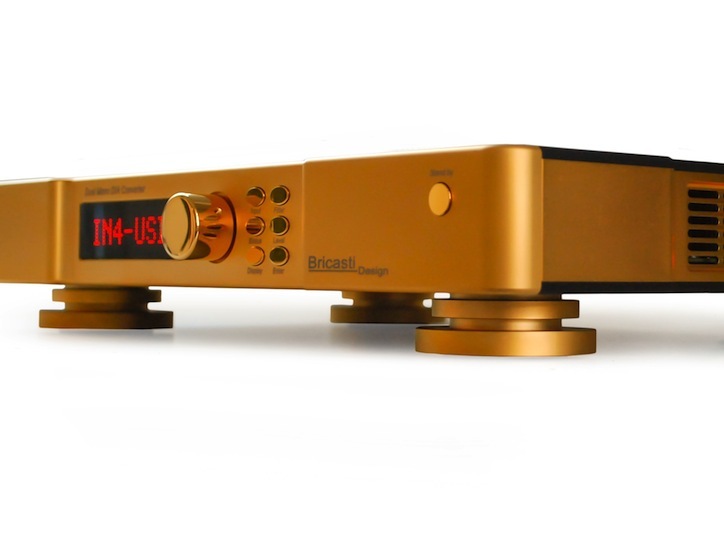 I gave this release my highest recommendation in one of my last columns for Stereophile magazine. I also made it the subject of one of my earliest blog posts. All one has to do is to listen to the admittedly data-compressed sound sample to learn that this is one of the best-recorded orchestral releases in years. 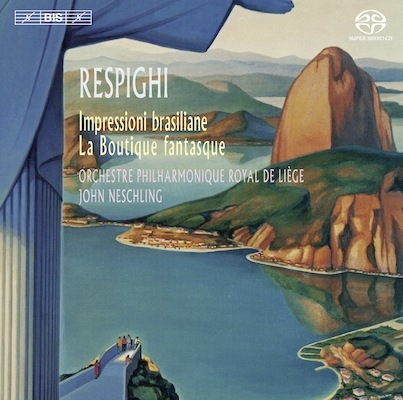 Respighi’s Brazilian Impressions are cinemagraphic, and in Technicolor to boot. Heaven-storming Beethoven (or Heaven-imploring Bach) they are not. But, guilty pleasures rarely come in better fidelity or with more idiomatic playing. Amazon has the physical SACD on offer for a very reasonable twenty dollars and change. Finally, if you enjoy quirky graphic design and fine letterpress printing, do visit the Zeichen Press for some very humorous prints, notecards, and posters.